"Whenever Mayawati is in crisis, the BJP supports her and will continue to do so in the future too," Keshav Maurya added. "Whenever Mayawati is in crisis, BJP supports her," UP Deputy Chief Minister Keshav Prasad Maurya said. Seeking to drive a wedge into their anti-BJP alliance, Uttar Pradesh Deputy Chief Minister Keshav Prasad Maurya said today that BSP president Mayawati will be "ditched" by SP chief Akhilesh Yadav after election results are announced on May 23, "and then, only the BJP will support her". "The Samajwadi Party has never given due honour to Dalits. In 1995, when Mayawati was attacked at the State Guest House here by SP leaders on the directions of Mulayam Singh Yadav, the BJP had saved her. Now, his son Akhilesh will dump her after May 23 and the BJP will support her," he told news agency PTI in an interview. Asserting that the BJP is pro-Dalit, the UP Deputy Chief Minister said, "At Kumbh, Prime Minister Narendra Modi washed the feet of sanitary workers to give them due honour. Our party leaders are always there for Dalits." About Congress's prospects in the upcoming general election, he said irrespective of the tall claims of the opposition party, its strength would be reduced further after the elections. "The BJP is going to form the government under the leadership of PM Modi again, with Uttar Pradesh giving it 74 plus seats." The state accounts for the highest number of 80 Lok Sabha seats in the country. 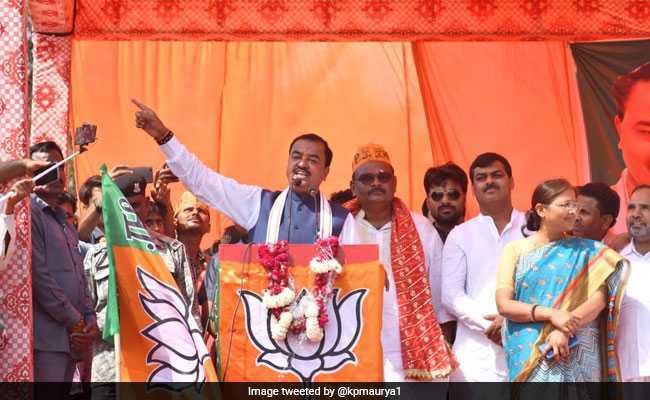 Keshav Maurya's statement came a day after he had targeted Mayawati on her remark at a Deoband rally, where she had asked the Muslim voters not to split their votes. "Her statement clearly indicates that she has only used Dalits as a vote bank and has not respected them. She has started hating them after their tilt towards the BJP after the saffron party empowered them. She has now appealed to the Muslims to vote for her but the community knows the reality of the SP-BSP-RLD alliance," he said.